It enjoys a superior geographical location and convenient traffic and it’s surrounded by scenic spots like Beijing International Flowers Port, Hanshiqiao wetland and Jiaozhuanghu Tunnel Warfare Site. China International Exhibition Center (new) and Beijing Capital International Airport are nearby. It’s 11 km, 18 minutes’ drive from Beijing Capital International Airport; 2km, 6 minutes’ drive from Subway Line 15; 3.4 km, 10 minutes’ drive from China International Exhibition Center (new). 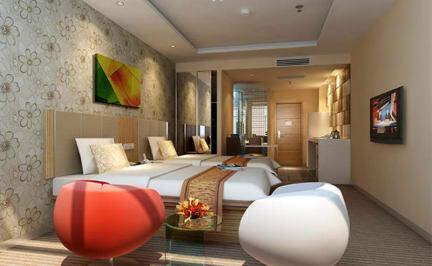 The hotel has 143 guestrooms including standard single room, standard twin room, deluxe king room, deluxe twin room, business suite, apartment and family room. The hotel is featured by fashion, uniqueness, value, taste and creativity. 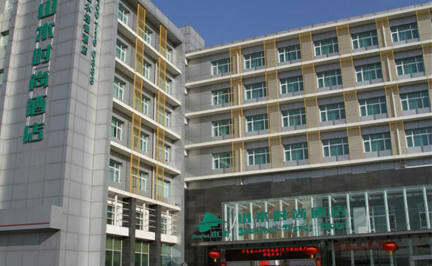 Shanshui Trends Hotel (Tianzhu Branch) is the best choice for your trip! The hotel is well located, however, there is no facilities such as a tea salon or swimming pool. The staff is lovely but do not speak a word of english.